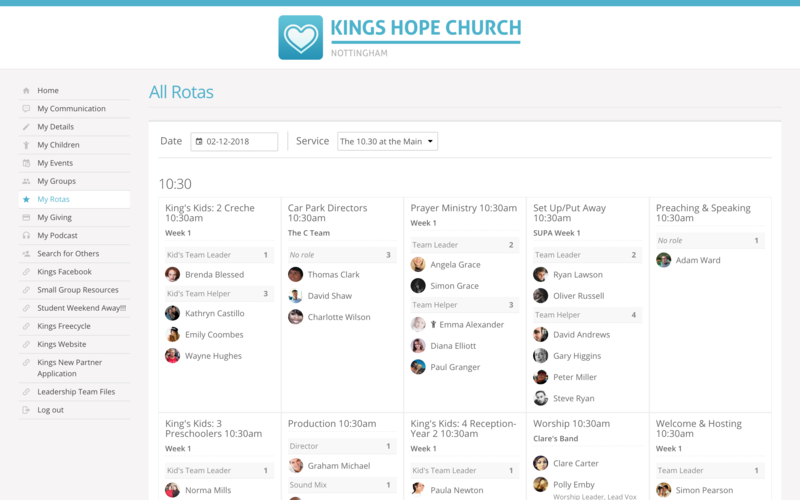 In the My Rotas section of My ChurchSuite, in addition to rota members being able to view their personal upcoming serving commitments and the rotas they serve on, it's also possible for them to view an All Rotas report and view a read-only "all rotas" overview; to see all the people serving on all rotas on a given date or for a particular service - ideal for keeping everyone in the loop of what's going and who's doing what on any given day. 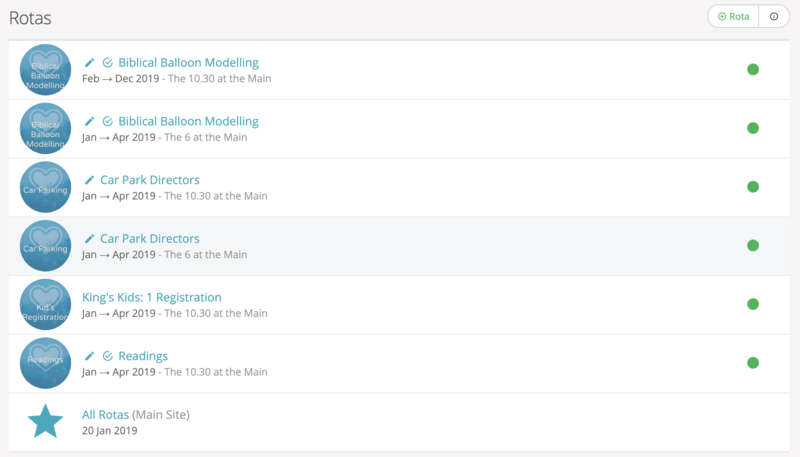 To enable the All Rotas report, head into the Rotas module's options, accessed via the cog wheels icon in the top right-hand corner of the Rotas module - to access the module's options you'll need Administrator or Manage module permissions. 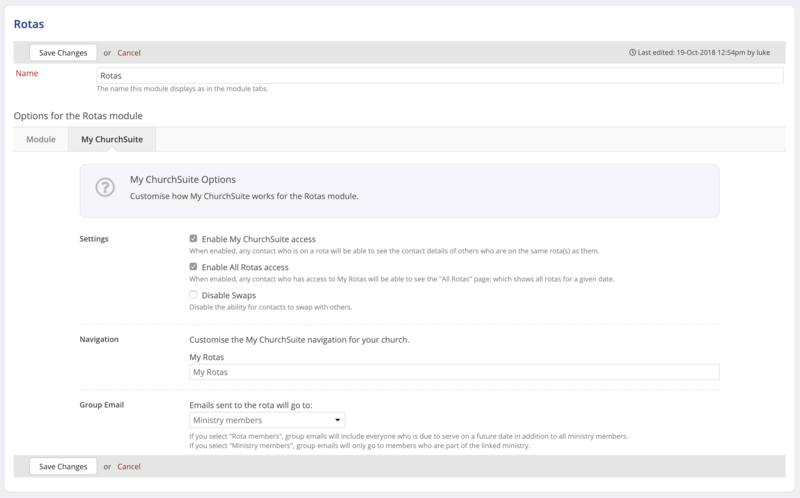 Next, select the My ChurchSuite tab and tick to Enable All Rotas access. Click Save Changes before navigating away from the page. Note that it is not possible to restrict the visibility of the All Rotas report - if enabled, all rota members with access to My Rotas in My ChurchSuite will be able to view the All Rotas report. Once enabled, the All Rotas report is listed at the end of the list of rotas within the My Rotas section of My ChurchSuite (see example below). Selecting All Rotas opens the report to view. Note how it's possible to filter and view a particular Service or view all services for the selected Date. Note: Although the report is "read only", if rota swap functionality is enabled in the Rotas module's settings, rota members can click to process their own rota swaps in the All Rotas report.